Marvel’s ‘Acts of Vengeance’ is nearly the publisher’s first linewide crossover event (different from crossovers like Atlantis Attacks or Evolutionary War that stuck to Annual issues), applying a never before seen super villain team-up to all Marvel Comics from late 1989 into early 1990. 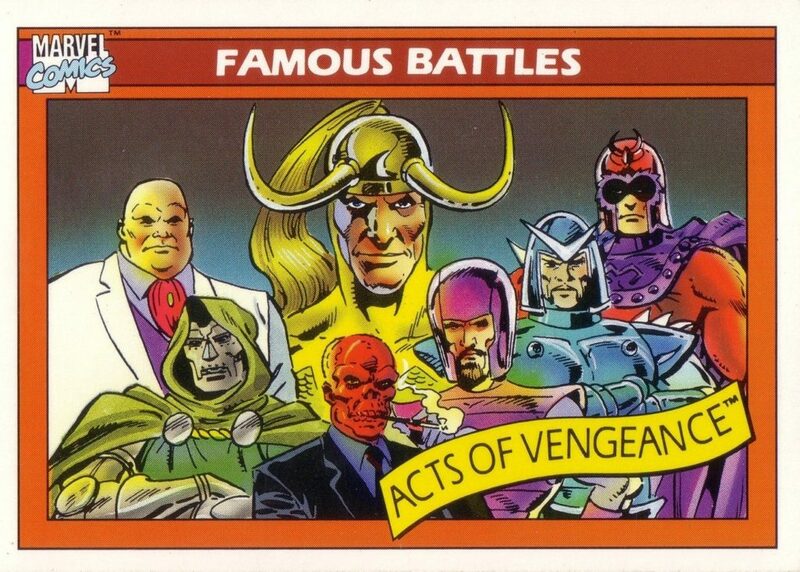 Unlike later Marvel events, there isn’t much to the core story of ‘Acts of Vengeance,’ but instead it’s a conceptual look at Marvel heroes versus villains they hadn’t faced before, or that typically fell out side their rogues gallery. So for example, we see Spider-Man vs. Graviton, Daredevil vs. Ultron, and the Incredible Hulk vs. the Grey Gargoyle. There is a fair amount of flexibility with Acts of Vengeance, as the stories often stand alone, simply tied together by the villains conspiring against the heroes. In many ways, Acts of Vengeance is the spiritual predecessor to Marvel’s Dark Reign. If you’re looking to collect Acts of Vengeance, only omnibus editions are available as of 2016. Note that the reading order below is based on comics available in Marvel Unlimited as of August 2016. I’ve bolded and italicized the most essential issues like so. This ‘Acts of Vengeance’ labeled issue actually fits in best with the Iron Man and Doctor Doom Camelot trilogy, and will make more sense if you’ve also read Iron Man #149 to #150. Uncanny X-Men is less essential to Acts of Vengeance, but represents some substantial changes for the X-Men. Where exactly do Iron Man 250-252 sit in this order? There’s a few other comics part of the event that aren’t on this list, but as far as I can tell Iron Man is the only series on MU. Excited to read this! Not seeing Spectacular Spider Man 158 in Unlimited though. Ah, yeah, you’re right, that’s a miss on MU! Web of Spider-Man should provide the relevant context clues at least.